Item # 311021 Stash Points: 18,300 (?) This is the number of points you get in The Zumiez Stash for purchasing this item. Stash points are redeemable for exclusive rewards only available to Zumiez Stash members. To redeem your points check out the rewards catalog on thestash.zumiez.com. Set yourself apart from the crowd when you rock the RB3547N Evolve Light Yellow Sunglasses from Ray-Ban. 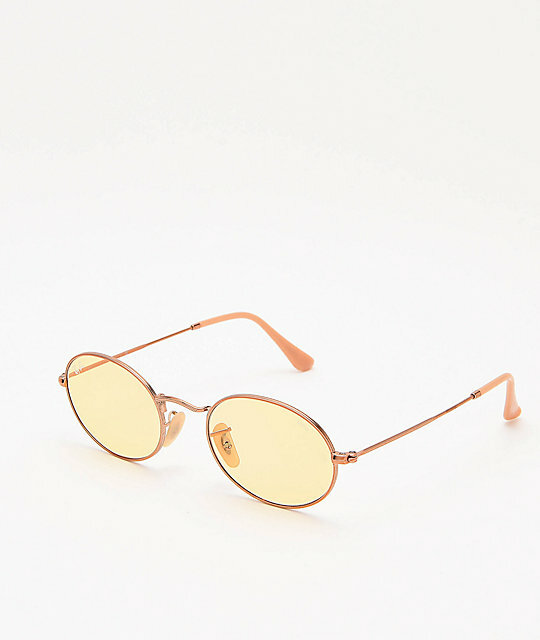 These sleek shades feature a bronze-copper metal oval frame for an iconic look. Yellow Photochromic lenses are included, and offer increased visual clarity and eliminates glares, keeping your style and vision on point. RB3547N Evolve Light Yellow Sunglasses from Ray-Ban. Rubber coated ear and nose pieces for all day comfort. 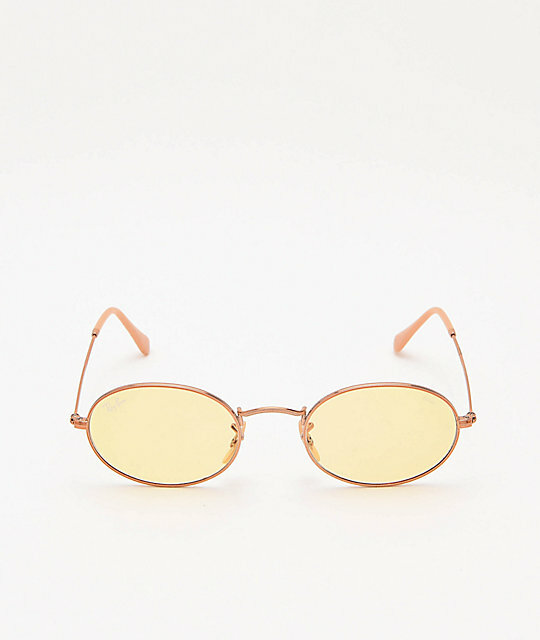 Round frames with Yellow Photochromic lenses. Includes protective case and lens wipe.